What are the origins of the AIWG? The idea for the AIWG originated at the international “Horizons of Islamic Theology” conference that was held at Goethe University Frankfurt in 2014. There it became clear that scholars of Islamic-Theological Studies and neighbouring disciplines were keen both to communicate more amongst themselves as well as with other Muslim and non-Muslim actors in society. At the same time, in developing the subject, people saw themselves confronted with major challenges which prevented them from implementing these goals. On this basis, a team led by Professor Bekim Agai came up with the idea of the AIWG and approached the BMBF and the Mercator Foundation for support. From September 2016, the BMBF funded a one-year preliminary phase for the AIWG at Goethe University Frankfurt during which wide-ranging discussions were held with potential partners in academia, Muslim civil society and other sectors of society. It soon became clear that there was a need for a platform for sharing expertise on Islam, theology and society at the intersection of theory and practice. The AIWG is thus committed to both goals: promoting cooperation amongst academics and interaction between research and society. What are the AIWG’s objectives? What topics does the AIWG address? In its research formats, the AIWG addresses two fundamental topic areas: theological questions relating to Islam and questions relating to Islam in society. In its communication formats, the AIWG focuses on topics located at the intersection of theology and society, bringing together actors from Muslim civil society and other sectors of society to share ideas and jointly generate practice-related knowledge. What formats are there and whom do they target? The AIWG announces various funding formats in the field of research and society. These include cross-locational research groups, fellowships for researchers and expert practitioners, commissioning expert opinions and a mentoring programme for young scholars in Islamic-Theological Studies and Muslim civil society. The AIWG’s Research Formats target both academic staff in Islamic-Theological Studies and scholars of other disciplines who wish to work on topics related to Islam and religion. Click here for additional information on the Research Formats. The AIWG’s Communication Formats target actors in Muslim civil society as well as organisations and initiatives that actively pursue the topic of Islam in Germany at the intersection of theology, research and society. Click here for additional information on the Communication Formats. 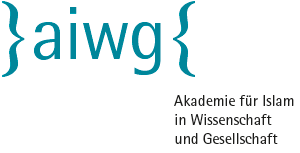 If you would like to be informed about the funding announcements, please register for our newsletter: newsletter@aiwg.de. With which Islamic-Theological Studies institutions does the AIWG cooperate? Any newly-emerging institutions are also eligible to participate in the AIWG. Is the AIWG an Islamic academy? No. The AIWG is a university, not a confessional, academy. Therefore, it does not conduct religious community work (such as training imams). The AIWG addresses Muslims in Germany in all their religious plurality and brings people of different beliefs and standpoints together to share ideas and views. 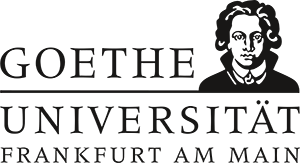 By funding the AIWG, the BMBF wants to reinforce the position of Islamic-Theological Studies in the German academic system and further promote its academic interaction with society. The Mercator Foundation funds the AIWG with the purpose of driving the social and cultural integration of Muslims in Germany and set public discourse on Islam on a factual basis. The Mercator Foundation is an independent private foundation which strives for a society characterised by open-mindedness, solidarity and equality of opportunity. It focuses on Europe, seeking to increase the educational success of disadvantaged children and young people, particularly those with a migrant background, improve the quality and effectiveness of cultural education, boost climate protection and promote the sciences and humanities. The Mercator Foundation stands for the link between academic expertise and practical project experience. One of Germany’s leading foundations, it operates both nationally and internationally but fosters a strong sense of loyalty to the Ruhr Area, the home of the founding family and the foundation’s headquarters.